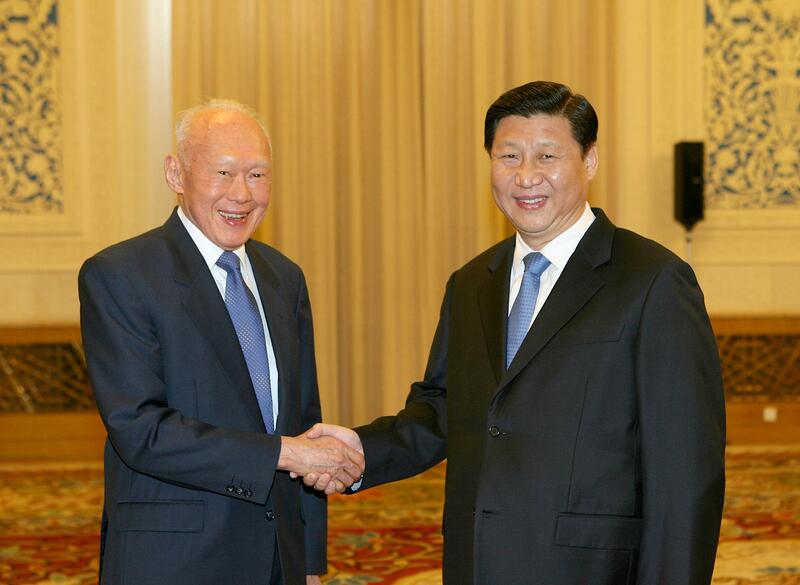 China–Singapore and US–Singapore ties similarly benefited from Lee’s personal relationship with many of their leaders who respected his deep insights and forthright views. When the world is more uncertain, it is even more important to be able to reach out to reliable friends. Posted in Bilateral Relations, FM Saifuddin Abdullah, Foreign Policy, Foriegn Affairs, History, Leadership, Lee Kuan Yew, Malaysia, Singapore, Tun Dr Mahathir Mohamad, Tun Dr. Mahathir Mohamad, Wisma Putra, www.eastasiaforum.org. The idea that “Asian values” are antithetical to democracy has long since been exposed as fiction. 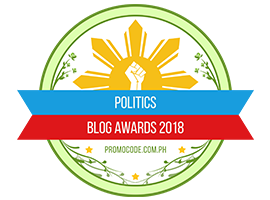 This opinion piece is part of the Silver Lining Series written by members of the Council of Asian Liberals and Democrats (CALD), an organization of liberal and democratic parties in Asia, to celebrate its 25th anniversary in 2018. For decades, Asian values, under the guise of Confucianism, have been used by the region’s autocrats to ward off criticisms, mainly from the West, about their undemocratic ways. This argument’s most artful proponents are Singapore’s former Prime Minister, the late Lee Kuan Yew, and Malaysia’s Dr. Mahathir Mohamad during his first stint as the country’s leader. With the region in the thrall of dictatorships – from Korea’s Park Chung-hee in the north to Indonesia’s Suharto in the south – there seemed to be a seductive ring to the uniqueness of the Asian political culture. But there is nothing quite like a few revolutions, mainly peaceful ones, to debunk the no-democracy-please-we’re-Asians theory. Taiwan, the Philippines, South Korea, Indonesia, Myanmar, Mongolia, and Thailand overcame repressive governments to establish democratic systems. The extent of reform may be limited, as in the instance of Myanmar, or has backslid, as in Thailand. But the trend toward democratic change has been unmistakable. 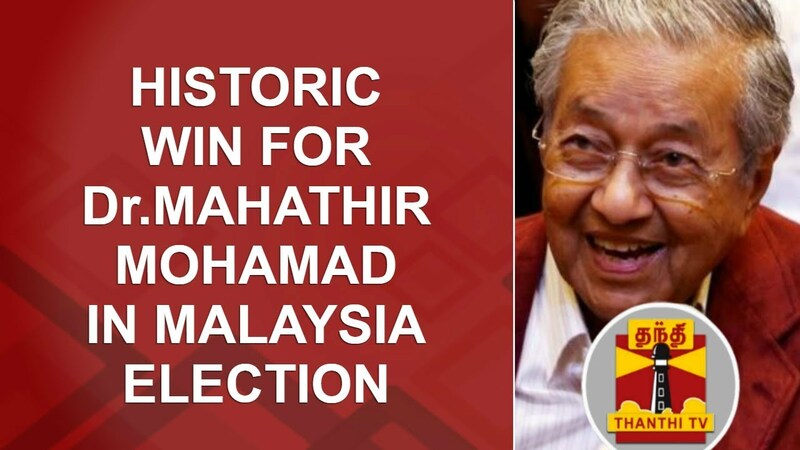 The most recent example is, of course, Malaysia where after 61 years of one-party rule, Malaysians staged an electoral revolt of their own and sacked the Barisan Nasional government. So, have Asian peoples jettisoned Asian values and adopted Western ones? Of course not. Remember that for the better part of the last two centuries, much of Asia toiled under the subjugation of Western colonialism, where the concepts of freedom and universal suffrage were as alien as the languages imposed on the natives. The truth is that, regardless of the part of the world they inhabit, man has always sought to lord over his fellow beings. But it is just as ineluctable that the masses will, at some point, rise up to show despots the boot and claim their freedoms. To avoid sounding simplistic, however, let me point out that the factors contributing to the demise of autocratic regimes in Asia are varied. Distressed economic conditions in the Philippines and Indonesia contributed massively to the overthrow of Ferdinand Marcos and Suharto. In Taiwan and South Korea, it was the burgeoning educated middle-class that grew intolerant of the oppressive military regimes. Even so, these revolutions were not a result of spontaneous combustion. There were years of relentless campaigning and sacrifice by individuals who saw the need for change and, more importantly, found the courage to stand up and rattle the authoritarian cage. Regional organizations like the Council of Asian Liberals and Democrats, a body comprising political parties (both ruling and opposition) committed to advancing democracy in Asia, have been keeping freedom’s agenda on the front burner. Again, take the most recent case of Malaysia. Those who cried reformasi and fought corruption and abuse of power did not just surface during the historic elections this year. It was a struggle that spanned two decades, one which saw the opposition leaders and activists harassed, humiliated, and jailed. In the end, like in the other countries, the democrats prevailed. Singapore’s current Prime Minister Lee Hsien Loong, unwilling or unable to read history, continues this charade. In a recent interview with CNN’s Christiane Amanpour, he denied that his administration is repressive. Politics in Singapore, he insists, is the way that it is because Singaporeans voted for it. Of course, he did not mention that he had to change the rules for the presidential elections so that only his party’s nominee qualified as a candidate. There are elections and there are free and fair elections. The not-so-hidden message for autocrats and democrats alike is that the mood in Asia has irrevocably altered. The idea that democracy is ill-suited to the Asian mind has been exposed for the propaganda that it is. No wonder the fight for democracy is alive and well. 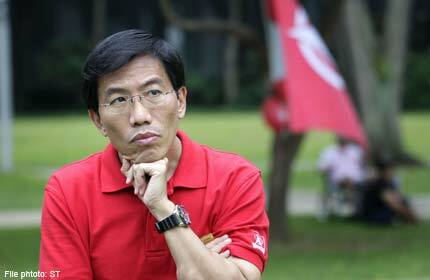 Chee Soon Juan is the secretary general of the Singapore Democratic Party and former chairperson of CALD. Posted in Anwar Ibrahim, ASEAN, Asia, Civil Society, Democracy, Freedom, GE-14 Elections, Governance, Hibiscus Revolution--Malaysia2018, Lee Hsein Loong, Lee Kuan Yew, Malaysia, Politics, Rule of Law, Singapore, Tun Dr. Mahathir Mohamad, UMNO-BN. 93-year-old Dr. Mahathir Mohamad, who heads Malaysia’s reform coalition Pakatan Harapan, has lost no time in knuckling down to work. A week after he assumed office in the wake of the political earthquake of the country’s May 9 general election, he terminated the contracts of 17,000 political appointees as a drain on public expenditure. The move was hailed by a public taken aback by the numbers of people involved, although some are concerned that the shock and awe of Mahathir’s move would generate the same kind of guerilla underground that cropped up when Paul Bremer, the American proconsul in Iraq, disbanded the army and civil service in 2003. That played a major role in the eventual creation of the Islamic State which has terrorized Syria and Iraq for the past several years. Nonetheless, the sackings are looked upon by Malaysia’s 31 million people as just the start of the cleanup of decades of appalling corruption. Police seized 72 bags alone of loot from deposed Prime Minister Najib Razak’s residence in the days after the May 9 election, of which 35 contained RM114 million (US$28.6 million) in cash in 26 different currencies. Another 35 bags contained jewelry and watches, and 284 boxes were filled with designer handbags including Ellen Birkin bags by Hermes that can cost upwards of US$200,000. The former Premier is not likely to go hungry. He is believed to have hundreds of millions more stashed overseas. Famously, in 2013 US$681 million appeared in his personal account at Ambank in Kuala Lumpur and almost immediately was moved overseas. The biggest mess, of course, is the state-backed development fund 1Malaysia Development Bhd., from which US$4.5 billion is said by the US Justice Department to have disappeared in corruption and mismanagement. Mahathir has said the scale of corruption is even greater and has demanded a full explanation. The Finance Ministry, now under Lim Guan Eng of the Democratic Action Party, says Malaysia’s total government debt and liabilities exceed RM1 trillion (US$250.7 billion). The number of no-bid contracts awarded to crony companies and government-linked companies – now termed by many to be government-linked crookedry – is overwhelming. Mahathir for instance cancelled a high-speed rail contract from Kuala Lumpur to Singapore that cost RM70 billion which, with other government commitments including operating expenses over 20 years ran the total to RM110 billion. “Estimates are that in a proper open tender, the project could have been done for a maximum of RM25 billion,” said a well-placed business source in Kuala Lumpur. Equally questionable is a contract for Malaysia’s Eastern Corridor Rail Line, awarded to a Chinese company at RM67 billion. The payment was time-based, not on a completion basis. As such, 40 percent of the total payment has been made while only 7 percent of the work has been completed. The project cost is widely believed to have been a subterfuge for Chinese help in paying off 1MDB’s massive debt. Next is the Sarawak and Sabah gas pipeline, again awarded on time-based payments with 87 percent of RM9 billion paid and only 13 percent of the work completed. Contracts such as these are aplenty. The gadfly website Sarawak Report reported on June 10 that a car rental company headed by an official with a Barisan-aligned party in Sarawak received a RM1.25 billion no-bid contract to install solar energy facilities for 369 Sarawak schools. The three-year contract, allegedly steered by Najib himself, has been underway for 18 months. Not a single solar power unit has ever been installed. But beyond that, dozens of government-linked companies have been found to be paying exorbitant salaries to their executives. 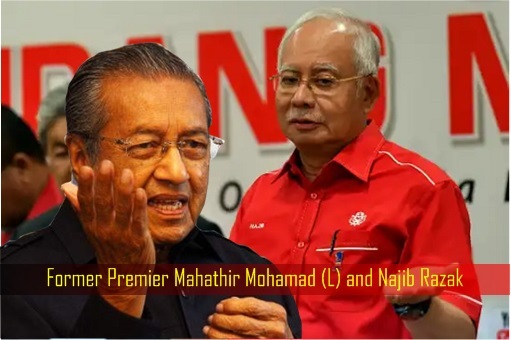 Malaysia has the fifth highest number of GLCs in the world, for which Mahathir himself must share the blame, since many came into existence during the 22 years he headed the government from 1981 to 2003. Many are household names – the national car project Proton, now peddled to China’s car company Geely; the national energy company Petronas, the electrical utility Tenaga Nasional, the electric utility Telekom Malaysia, the Tabung Haji Pilgrimage Fund, the Federal Land Development Authority, Malaysian Airlines, The Majlis Amanah Rakyat (Malay People’s Trust Council), the Sime Darby plantation and property conglomerate. Publicly traded GLCs currently comprise 36 percent the market capitalization of Bursa Malaysia and 54 percent of the benchmark Kuala Lumpur Composite Index according to a study by the think tank Institute for Democracy and Economic Affairs. They employ 5 percent of the national workforce. According to the study, government bailouts of GLCs have “resulted in a huge drain on the public purse.” They include RM1.5 billion for Proton in 2016 and RM 6 billion for Malaysia Airlines in 2014. As an example of exorbitant salaries, the Transport Minister, Anthony Loke, told reporters that the executive chairman of the Aviation Commission (MAVCOM), retired Gen. Abdullah Ahmad, drew a monthly salary of RM85,000 (US$21,325). The figure is over four times the basic recorded salary of the Malaysian Prime Minister and is similar to the salary of millionaire CEOs of successful private enterprises. 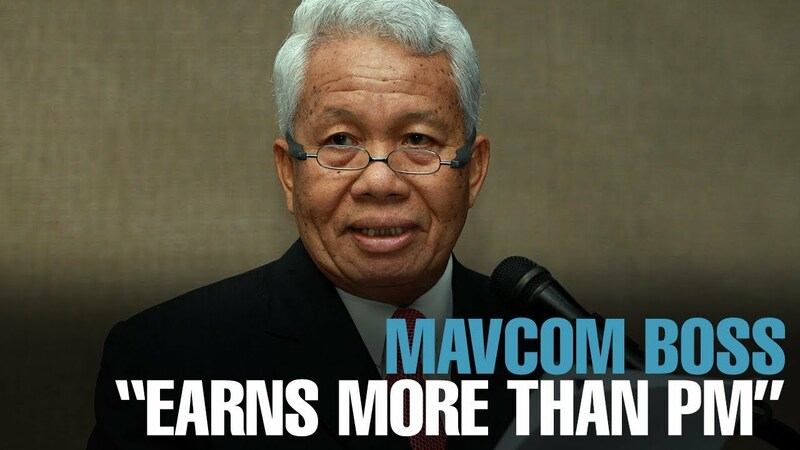 Veteran journalist, R Nadeswaran, formerly of The Sun Daily, reported that his investigations into MAVCOM, an independent body established in 2015 to regulate economic and commercial matters relating to civil aviation, revealed that RM570,000 had been paid in directors’ fees, and a further RM770,000 on directors’ travel and accommodation. More revelations have followed. One “former minister turned adviser” in Najib’s Prime Minister’s Office received a monthly wage of RM200,000 (US$50,177), which is about 10 times Najib’s official salary. Other “advisers” were paid from RM70,000 upwards per month in a country where per capita income on a PPP basis is RM26,900 annually. Other ministries, together with the newly-revitalized Malaysian Anti-Corruption Commission (MACC), have been directed to investigate the various GLCs and political appointees Apart from the allegations of huge bonuses and exorbitant salaries, it has also been alleged that officials of various GLCs collaborated with contractors to submit false claims for maintenance work. The MACC is investigating. The almost daily revelations of cronyism and large-scale corruption have been described by one Malaysian as akin to “Chinese water torture,” when water is slowly dripped onto a person’s forehead and drives the restrained victim insane. Loke’s disclosure also prompted the veteran MP, Lim Kit Siang, Mahathir’s onetime adversary turned ally, to demand transparency and public accountability in the wages of the heads of the GLCs. He proposed the implementation of a public website showing the perks, salaries and remuneration of all GLC heads and members. Lim wanted to know how many of the heads of the GLCs are political appointees and how many of the UMNO/Barisan Nasional appointees have resigned since Najib lost power. Malaysians responded swiftly to Loke’s report. One person multiplied Loke’s figure by the number of existing GLCs and was astounded by the money which taxpayers had to fork out for GLC directors’ fees. Who approved the salaries of the board members in this public regulatory body? 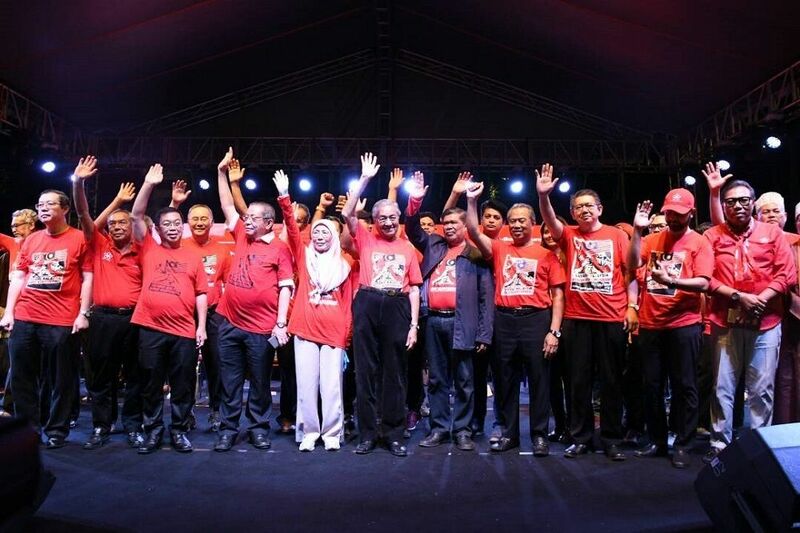 Surprisingly, the revelations over the GLCs are in contrast to those by newly released and pardoned former Opposition leader, Anwar Ibrahim, the PM-in-waiting, who told a crowd in Perak that chief ministers should not rush to take action against GLCs, and to refrain from being vengeful. Malaysians demanding intense scrutiny of GLCs wonder what to make of the PM-designate’s remarks and actions. Mariam Mokhtar is a Malaysia-based reporter and regular contributor to Asia Sentinel. Posted in 1MDB Financial Scandal, Anwar Ibrahim, Asia-Sentinel, Character and Integrity, Corruption, Crony capitalism, Democracy, Finance Minister L Guan Eng, Fiscal Mess, GE-14 Malaysian General Election, Governance, Hibiscus Revolution--Malaysia2018, Justice, Kleptocracy, Law and Order, Lee Hsein Loong, Lee Kuan Yew, MACC, Monetary Policy, Money Laundering, Najib Razak, Political Economy, Research & Development, Rosmah Mansor, Rule of Law. Malaysia’s recent national election was a stunner for many reasons. Not only did the election return a nonagenarian to power, but it also ended the six-decades-long one-party hegemony of Barisan Nasional (BN). For the first time in Malaysia’s post-independence history, the opposition is in power. 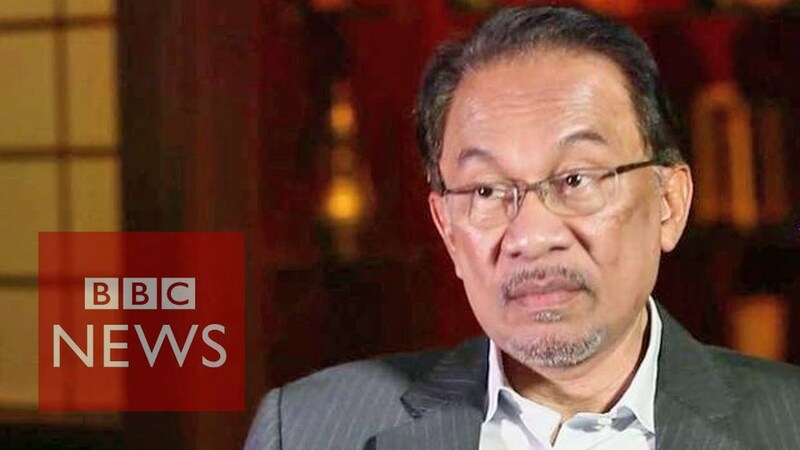 Crucially, long-time opposition leader and democracy activist Anwar Ibrahim has been pardoned and released from prison, enabling him to eventually take the helm of the Malaysian state, paving the way for deep political reforms. Yet Mahathir Mohamad’s return to power is not only potentially transformative for Malaysian domestic politics. It also has far-reaching strategic implications. 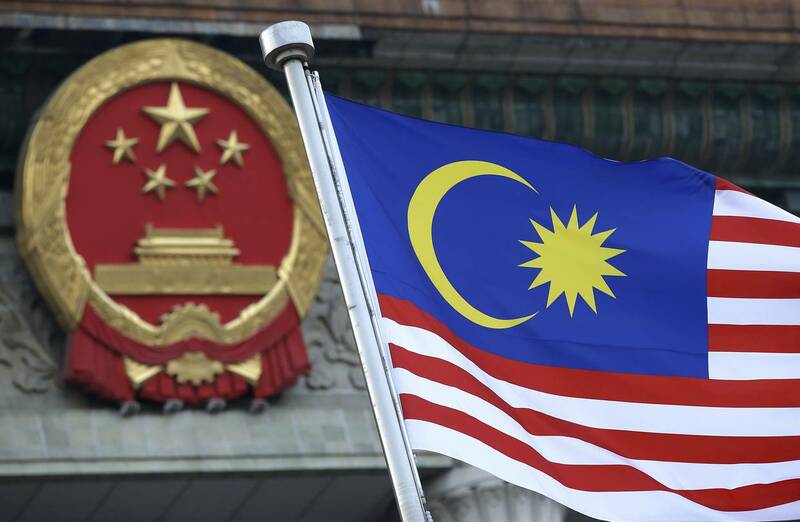 First of all, Malaysia may revisit its increasingly cordial, if not acquiescent, bilateral ties with Beijing, which heavily invested in upgrading relations with the previous Najib Razak administration. Similar to the case of the Philippines during the Benigno Aquino III administration, domestic anti-corruption initiatives in Malaysia could have a significant impact on external relations with China. Former President Aquino III’s good governance reforms primarily targeted Beijing-backed projects launched under the Gloria Macapagal-Arroyo administration. These anti-corruption efforts against China-backed projects, along with Aquino III’s tough South China Sea policy, led to an overall deterioration in Philippine-China bilateral ties, which reached its apotheosis in 2016 as the Philippines won a decision at an international tribunal in The Hague against Beijing’s claims to an expansive “nine-dash line” of territory in the South China Sea. Malaysia under Mahathir may quickly implement anti-corruption reforms; he has already apparently barred Najib from leaving the country, and vowed that the government will reopen investigations into the 1MDB state fund scandal. A major issue driving the Mahathir-led Pakatan Harapan coalition victory was the nationwide uproar against the 1MDB corruption scandal. The former Prime Minister and his associates have been accused of embezzling as much as $1 billion from the state fund. The 1MDB debacle also sparked international investigations into the Najib government, as the United States, Singapore, and Switzerland, among other countries, froze accounts and launched investigations against Malaysia’s investment fund body. But as Western governments began threatening criminal probes against top Malaysian officials, Najib began to fortify strategic and economic relations with China, which became a key source of investments for Malaysia. And the former prime minister was unapologetic about it. As the new Mahathir government moves towards potentially prosecuting Najib after placing him under a travel ban, greater scrutiny of Chinese investments could be coming. Before the election, Mahathir complained about the potential for rising housing costs for Malaysians triggered by an expansion in real estate projects by Chinese companies, and a potential influx of Chinese property buyers. “Here we gain nothing from the [Chinese] investment… [W]e don’t welcome that,” he recently lamented. Mahathir also has repeatedly expressed concerns about over-reliance on Chinese technology, engineering and labor for Malaysian infrastructure projects. Among China-led projects that could be reconsidered is the $13 billion East Coast Rail Link (ECRL) railway, connecting Kuala Lumpur with less developed eastern regions. Mahathir has indicated that he may scrap the whole project. He has also warned about the threat of a debt trap, citing the case of Sri Lanka, which was forced into humiliating debt-for-equity deals with China due to its inability to repay ballooning debts to Chinese state firms. Secondly, Mahathir likely will take a stronger stance against China’s growing strategic assertiveness across Southeast Asia. Under the Najib administration, Malaysia remained reticent to openly highlight Beijing’s behavior in the South China Sea, eager to maintain booming economic ties with China. Under Mahathir, Malaysia’s policy of strategic acquiescence toward Beijing could change. Unlike Najib, Mahathir seemingly views China as a potential strategic threat. 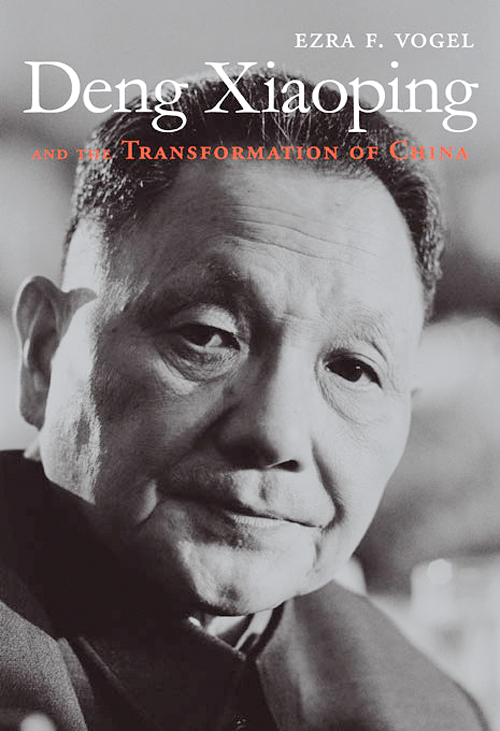 He has described the Xi administration as “inclined towards totalitarianism” and increasingly belligerent, a government that “like[s] to flex [its] muscles” and “increase [its] influence over many countries in Southeast Asia” in a “very worrisome” manner. Mahathir further has warned against growing militarization of the South China Sea, where Malaysia is one of the four Southeast Asian claimant states. Malaysia is currently occupying multiple land features, including the Swallow Reef, a reclaimed island with its own naval base. Historically, China has been less assertive within Malaysia’s exclusive economic zone in the South China Sea than it has been in the economic zones of the Philippines and Vietnam, due to cordial bilateral relations with Malaysia. In recent years, however, Chinese navy and coast guard have been more active within Malaysia’s exclusive economic zone in the area. Nonetheless, the Najib administration adopted a softer tone than other Southeast Asian states such as Vietnam and the Philippines, which filed an arbitration case against China. Finally, Mahathir could place his country, once again, at the center of Southeast Asian affairs, where senior, high-profile figures tend to play an outsized role in setting the regional agenda. In fact, the Association of Southeast Asian Nations (ASEAN) regional organization largely owes its existence as well as peaceful evolution over time to the efforts of powerful, often domineering regional leaders like former Singapore Prime Minster Lee Kuan Yew as well as Mahathir during his previous two-decades-long stint as Malaysian Prime Minister from the 1980s to early 2000s Mahathir shaped ASEAN’s relations with great powers, including China, and its response to regional economic and strategic crises, especially the 1997 Asian Financial Crisis. Mahathir’s return to the center of power in Malaysia could also provide leadership and foster internal coherence within ASEAN, which has increasingly lost its way in recent years due to in-fighting among member states and the growing influence of China in Southeast Asia. Mahathir is expected to build on the efforts of his predecessors, who managed to improve historically tense relations with neighboring Singapore, the current chairman of the ASEAN, over the past two decades. His personal gravitas, as a regional elder statesman, could also mean greater deference among his significantly more junior colleagues in the regional body. In recent years, Philippine President Rodrigo Duterte has a dominant figure within ASEAN. Yet Duterte has been mired in controversy, coming under fire for his human rights record and, especially, too cozy relations with China. Last year, with the Philippines holding the organization’s rotating annual chairmanship, ASEAN kept largely silent over South China Sea disputes as well as the Rohingya crisis in Myanmar, probably the two largest regional challenges. As a result, ASEAN often appeared irrelevant in shaping regional affairs. Notwithstanding his age (ninety-two years old) and his need to focus on domestic political challenges including the 1MDB scandal, rising inequality, and rebuilding political institutions, Mahathir’s return to the stage could give more purpose and substance to the ASEAN. 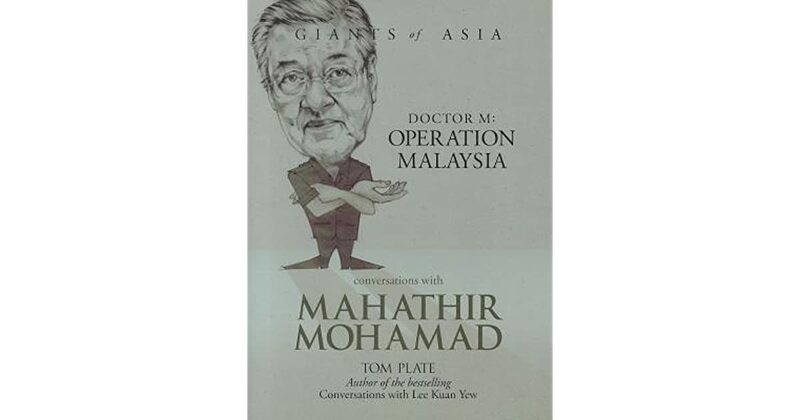 Throughout the decades, Mahathir has been a constant fixture in regional meetings, seen as a regional bigwig and an indispensable source of strategic wisdom across Southeast Asia. Indeed, it is likely that Malaysia’s Prime Minister will once again try to leverage his influence within ASEAN to advance not only his country’s interests, but also make the regional body a more relevant player in addressing key challenges, including in the South China Sea. Mahathir’s unlikely and stunning return could be not only a game changer domestically, but for the whole Southeast Asian region. Richard Javad Heydarian is a nonresident fellow at ADR-Stratbase Institute, Manila, and the author of The Rise of Dutere. 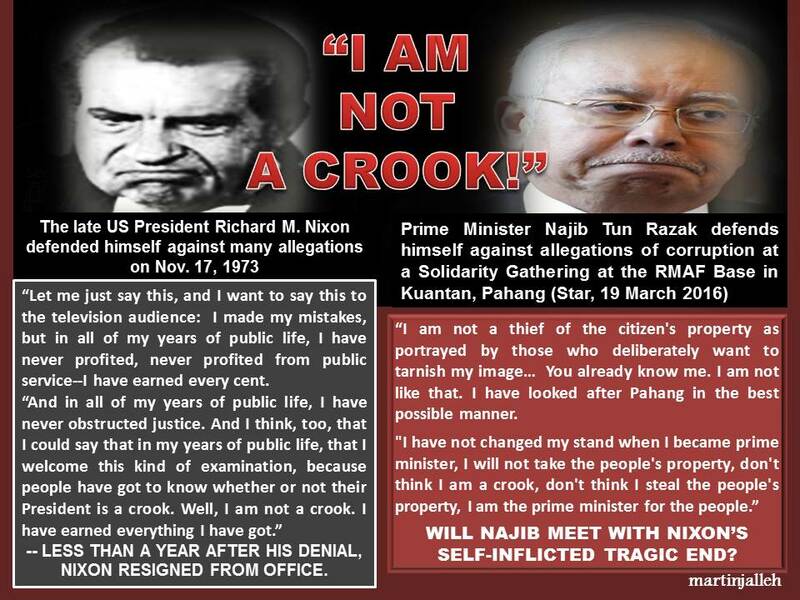 Posted in Anwar Ibrahim, ASEAN, China, Defence-Security, Democracy, Diplomacy, Economic Policy, Foreign Policy, GE-14 Malaysian General Election, Leadership, Lee Kuan Yew, Malaysia, Peace and Development--The ASEAN Way, reform, Rodrigo Duterte, Singapore, South China Sea, Tun Dr. Mahathir Mohamad, Xi Jinping.